When our kids were young Mark’s parents would visit from Florida and stay with us. Our kids were old enough to stay by themselves but it was nice to have Mark’s parents around to referee their fighting. Our kids were no angels back then except on one day when they had a beautiful surprise waiting for us when we came home from work. Summer was usually busy at work for Mark and I, so unfortunately we were both a couple of hours late that day. But when Mark and I did arrive home Kelly, Corey and Bryan greeted us at the door and asked us to be seated in our formal dining room. Dinner music was playing in the background as we sat at the candlelit table which was set with two place settings. The kids placed darling homemade menus in front of us which said Lucky’s Restaurant. 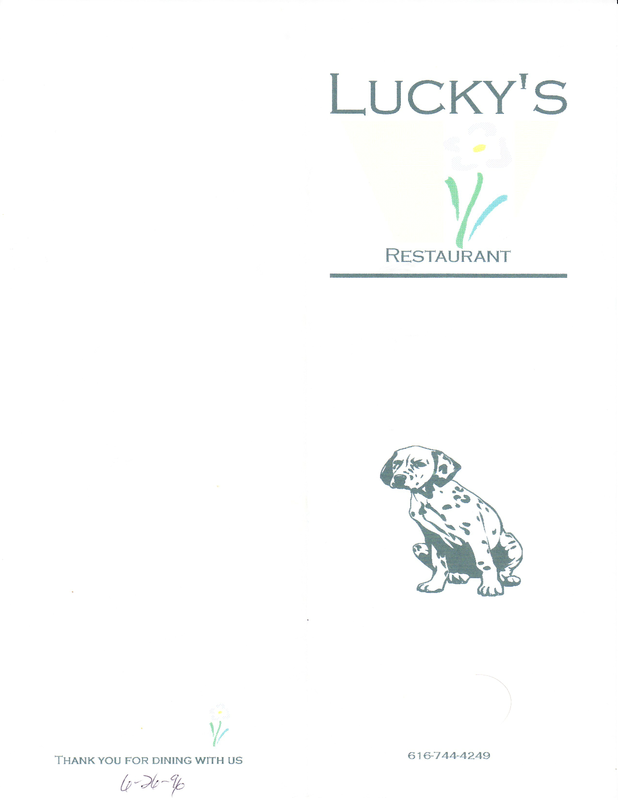 The kids named their restaurant Lucky’s after Mark’s parents’ dog, Lucky. 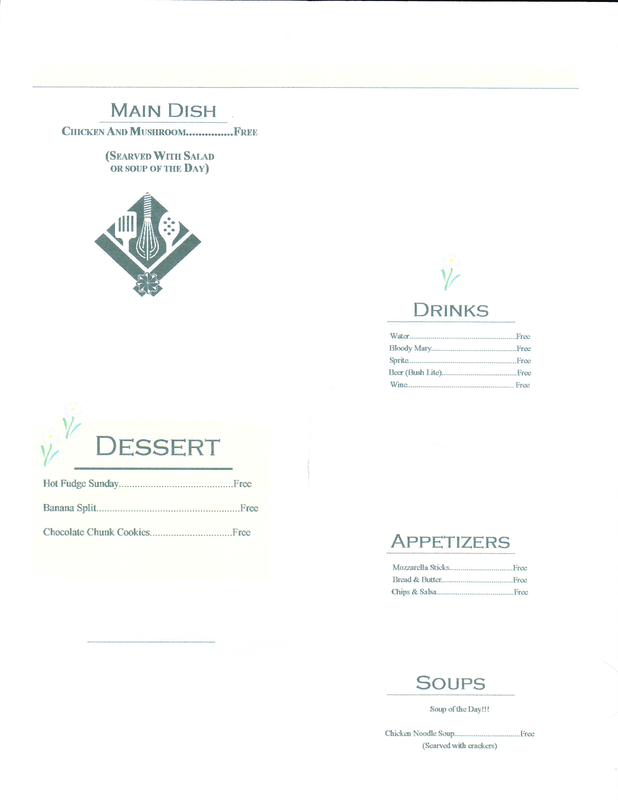 The menu included drinks, appetizers, salads, soup, a main course and dessert. 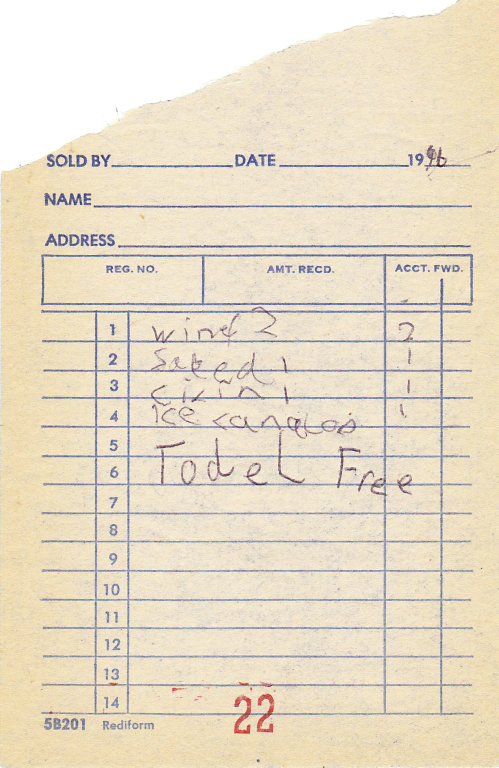 Bryan, who was probably eight years old at the time, wrote down our orders while Corey (12) and Kelly (14) worked on the food in the kitchen. I remember the dinner being pretty good, but it wouldn’t have mattered what the food tasted like because it was made with pure, genuine love. Oh, how cute and thoughtful! Delightful memory! I love the stories you share Rosemary.